To do this, the multi-billionaire said he drove to a bank, withdrew $10 million, took it home, put it on his bed, looked at it, and returned it back to the bank the following day. “The way it is that when you first start business, your target is to make your first million. 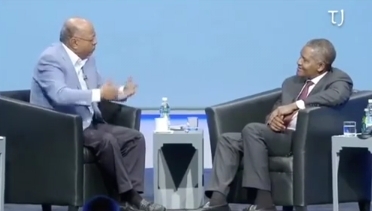 Fine, I did that,” Dangote told Mo Ibrahim. “After a year or so, I realised that I had much more, and I said ok, fine, all these numbers are just written numbers. 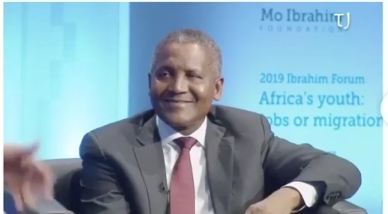 “One day I went to a bank, and at that time, there were no restrictions, and I wrote a cheque and cashed $10m from the bank and put it in the boot of my vehicle, and I went home and I opened it and I looked at $10m and I said ‘now I believe I have money’.” Dangote added that he took it back to the bank the next day — after his mission was concluded.